I try not to drag my family into yarn stores. But I will leave them parked out front, I just crack the windows a bit so they can get some air. On a recent family getaway to Vancouver, I was very good, and abstained from yarn browsing. Mostly. I did take a little time to check out Baaad Anna's on East Hastings. Lovely shop with many temptations. Picked up some very pretty mercerized cotton, Cairo by Diamond Luxury Collection. An aran weight, with great yardage at 168m a skein, and a nice ropey texture. 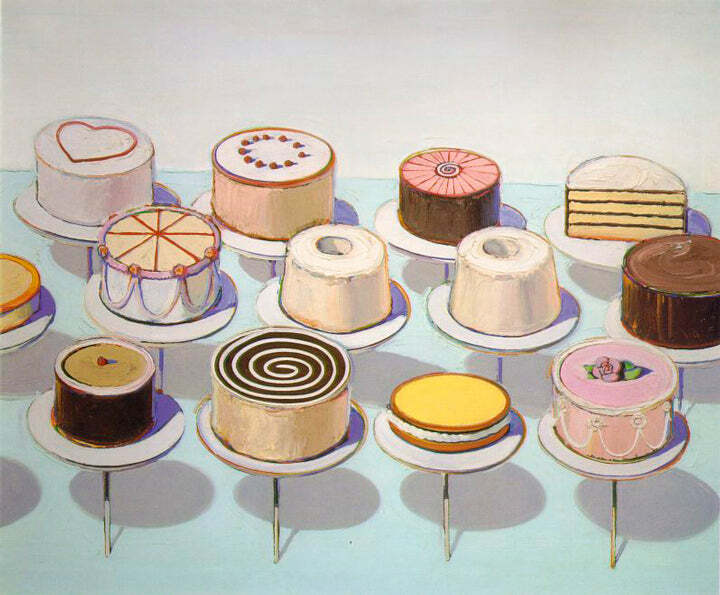 The colours have a muted, vintage, palette, and remind me of Wayne Thiebaud's Cakes.